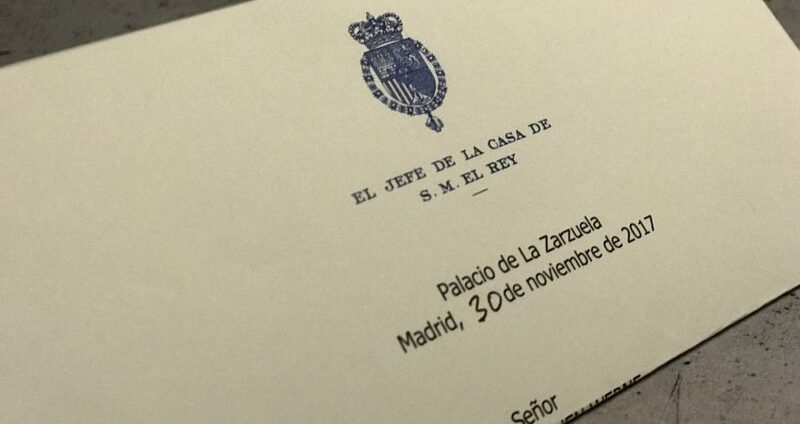 It is with pride to be able to display this letter arrived by diplomatic bag to the Spanish Embassy in Germany from Zarzuela Castle containing good wishes from His Majesty The King for the Expeditition. 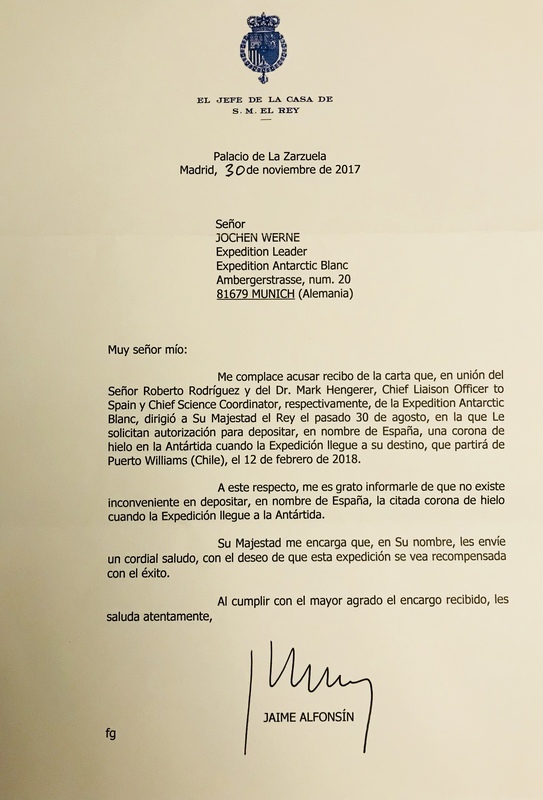 The wishes are coming together with the formal approval to lay a wreath – created from ice – in the name of Spain during our commemoration ceremony in the Antarctic. We are grateful to Her Majesty and we will act accordingly.